2017 marks the tenth anniversary of Apple and we’re commemorating their spirit of innovation by bringing you all the latest juice on the iPhone 8. Get the full scoop on the phone’s new design, specs and all the features in store. The new model is rumoured to be 5.5 inches and is likely to have an OLED display with a dual camera lens. It may also feature curved edges like the Samsung Galaxy S7 that may respond to touch gestures. Rumours have also been swirling that Apple is planning to do away with the physical home button and replace it with a touch sensitive button placed on the screen itself. It may also feature similar haptic feedback technology as seen in the iPhone 7 to create the illusion of a home button. This would mean that there is no visible bezel or button. We’ve also heard that the new phone could feature biometric additions like a facial scanner and even an iris scanner. Apple may also move the SIM tray to the bottom or even to the edge. We think it may be to make room for a Smart Connector. Knowing Apple we’re pretty sure they are working several years ahead on the iPhone line. We feel there’s a good chance that they’re already testing future models and prototypes way ahead of the iPhone 8. This is pretty simple to predict if you follow the logical progression of iPhones chipsets over the years. iPhone 6 and its versions came with the A8 processor, 6s came with A9, iPhone 7 had the A10 fusion chip. No prizes for guessing that the iPhone 8 is likely to feature the A11 chip. We also believe that Apple has been adding coprocessors to handle artificial intelligence and the new chipset will build further on this. Apple will also bump up the RAM and cameras, rumours point to a high resolution front camera, since the front camera usage has increased significantly. iPhone 8 is rumoured to be available in 32GB, 128GB and 256GB storage options. However, the 10th anniversary iPhone may replace the 32GB variant with a 64 GB iPhone as a base model. Recent reports suggest that Apple could be working on custom GPUs and even modems for better networks and wireless connectivity. We are most excited about this rumour, which is something we’ve heard from Apple previously. 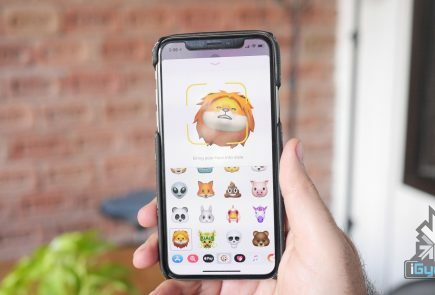 Leaks from Apple HQ have pointed at ‘cutting edge wireless technology’ that could change the future of iPhones and iPads. This means you could walk into a room and wirelessly charge your device without a physical cable. Apple is said to be working on overcoming technical barriers including loss of power over distance, in this case. Rumours say that wireless charging could have a long range, upto 15ft away. 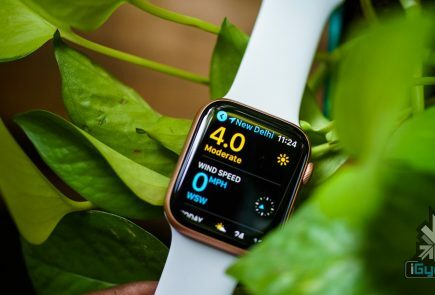 We’re interested in finding out if Apple moves to a glass back instead of metal to facilitate this feature or if they continue to use aluminium and offer wireless charging. 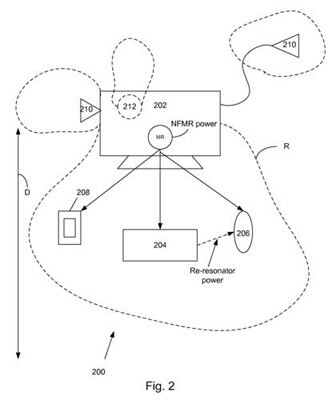 Apple filled a patent for a particular type of wireless charging that will allow iPhone users to charge wirelessly when placed near an iMac that has the same technology, called NFMR power or near field magnetic resonance. The 10th anniversary iPhone is expected to be available in three variants according to some rumours. The names may accordingly be iPhone 7s and iPhone 7s Plus, along with an iPhone 8 which will have all the high end features like wireless charging and curved OLED display. The iPhone launch cycle is expected to remain the same, with the 10th Anniversary iPhone/s launching in September of 2017. However Apple may hold an earlier event for a revision of the iPhone SE which is expected in February. Waterproofing: It’s time for Apple to take the plunge into complete waterproof technology for all its future devices. While the iPhone 7 is water ‘resistant’ (rated IP67) which means it can survive accidental splashes and dunks, we’d like to go swimming with the new iPhone 8 and even take underwater pictures. Better Display and Truer Tones: Apple has shied away from doing major updates to their device displays. The iPhone 7 (4.7″) comes with 1334 x 750 display and 7s Plus (5.5″) comes with a 1920 x 1080p resolution. We’d like to see a significant bump to 1920 x 1080 for the 4.7-inch model and 2560 x 1440 for the 5.5-inch model. We hope the new phone comes with a True Tone system to enhance display colours. Fast Charging and Better Battery Performance: It’s 2017 and it’s time for Apple to adapt to fast charge technology. We’ve seen dash charging in most Android phones which allow phones to be charged faster in lesser time. We hope that the new iPhone 8 will feature this tech with or without a cable. We also feel it’s time for Siri to retire and for Apple to reign in the new super assistant – Jarvis. Heard that rumour? No? Well, we’d like to start it. What is on your wishlist for the iPhone 8? Don’t forget to drop your comments in the section below.